The Deca Drive 1500XXL sports 3 LEDs (click to enlarge). Lezyne‘s top end light now is the Deca Drive instead of the Mega Drive from last year. It is a lot more sleek than last year, but it shares the output of last year’s top light at about 1400 Lumens. Beam pattern is beautiful with a wide beam and a high center optic to see far into the trail. The beam can almost be described as a clover leaf with widfe sides and a center bump. It’s sleek lines and smooth surfaces make it a lot more useable around the house too as the ultimate flashlight. But the full output of 1500 Lumens is in a ‘hidden’ mode that most users will never realize unless they read the manual very carefully and go in to ‘race’ mode. We really prefer that manufacturers do not claim outputs that are in hidden modes that users may never find. Visually, the human eye can’t really tell and we’re really able to determine this in the lab. But price and performance are still strong Lezyne traits, as this one sells for an aggressive $150. Lezyne seems to be at a crossroads where they have completely abandoned their previous, very successful and stable output designs to new, sleeker models. They’ve lost the infinite battery abilities they’re known for in favor of safer, easier to ship and more sleek designs. Lithium batteries have been the center of controversy with shipping and airline flights, especially when there’s loose cells involved. The result is a much sleeker design with very good optics. 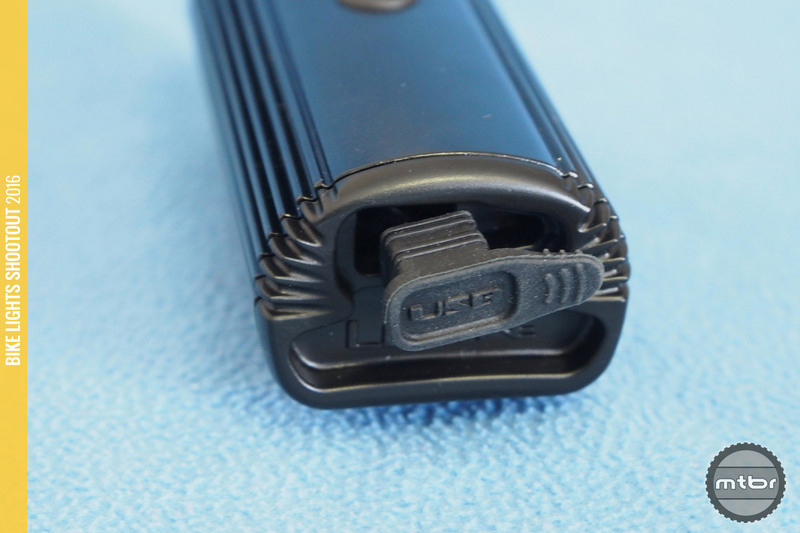 Heat sinking is not as generous as before, so the Lumen outputs are not as flat and consistent as the previous models. The battery/USB hatch is no longer present as the light has gone away from field replaceable batteries (click to enlarge). But the lights are a lot more handy now and can have much more utility around the house. Mounting is still the same with two different plastic mounts for the bar sizes. But the new 35mm bars pose a problem, as the mounts won’t fit those. The USB port is a bit difficult to access, as it deeply recessed and there’s a big rubber plug with two levels of sealing. It takes some getting used to, to give a good tug and hold it out of the way to get the USB plug in. Well, now Lezyne is like many other and can be bunch in with them. The lack of a replaceable battery in the field was a big selling point for me. I was willing to pay a little more for that. 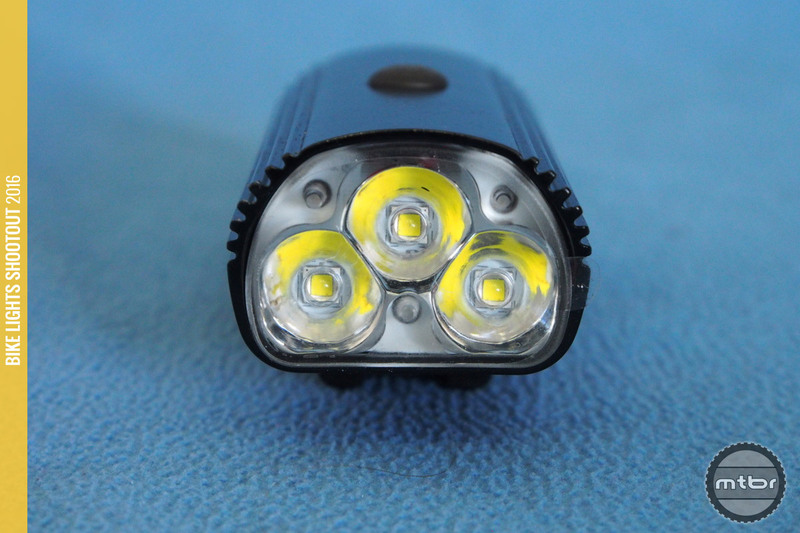 While not field replaceable, most of the Lezyne lights can have the battery replaced. You just have to want to take the light apart. I have done it one my micro drives models. Lezyne lights are great…when they work. I’ve had multiple fails with a Super Drive and bad battery with a Mega Drive. Customer support was okay, but never solved the battery issue. It’s hard to go night riding with a light you don’t really trust. I’ve seen mixed reviews on the battery issue. Many claim the Year 9 Power Drive XL 900 has a user-replaceable battery, but not the Macro Drive 600 XL, for example. Does anyone know if either of those models have a user-replaceable battery or not? Francis, was the 1390 measured lumens in race mode or regular mode? I have used alot cheap lights and they only put out white lite. The white light just washes out the ground. I use mine on endure mode and it last 3hr for my 25 mile mountain bike ride. Bought two Deca drive 1500 XXL lights via EBAY. Both are not working, one after a year and the other one after half of a year. Contacted Lezyne but they renounced. After using rechargeable batteries lights for many years I came into conclusion that this technology is not reliable.